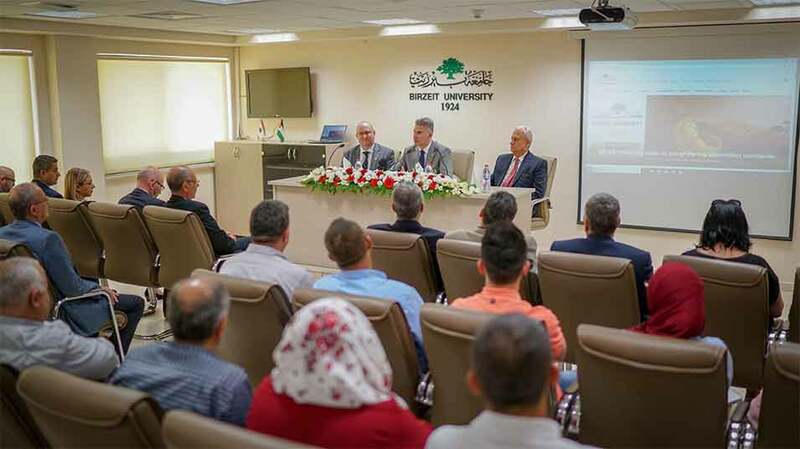 Peace, dialogue and respect for human rights are the key values the Minister for Foreign Affairs and Trade Promotion of the Republic of Malta Hon Carmelo Abela emphasized during his lecture delivered on June 20, on his visit to Birzeit University to enhance bilateral cooperation. Hon. Abela focused on Malta’s strategic relevance in the central Mediterranean and its foreign policy in the Euro-Mediterranean region as a key contributor to stability and prosperity. Malta, for example, is an active member of the Parliamentary Assembly of the Organization for Security and Cooperation in Europe (OSCE), and the “Five Plus Five,” the Mediterranean Forum, the Euro- Mediterranean Barcelona Partnership, and others. “We believe in the notion of multilateralism as a core aspect to promote stability and security, and help all countries to attain their national interests. Nowadays, however, we need to redefine its meaning within the changing dynamics that are happening in the region and the heterogeneous nature of the Mediterranean,” Hon. Abela pointed out. The Foreign Minister spoke about the security challenges that Malta faces as part of the Mediterranean and the European Union, such as migration, instability in Syria, political transition in Libya, and the Palestinian cause, which all need diplomacy, cooperation, and dialogue. 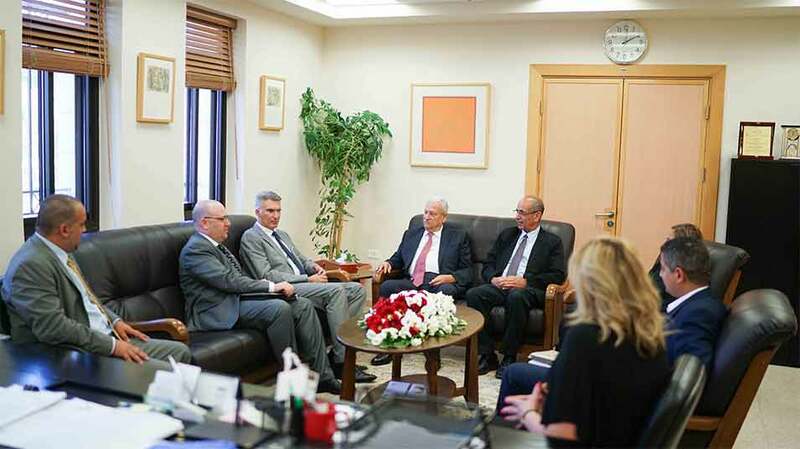 The lecture was concluded with a rich dialogue among the audience, which was comprised of professors and students from Bethlehem University, the Arab American University of Jenin, and An-Najah National University. Accompanied by the Representative of Malta to Palestine Reuben Gauci, Hon. 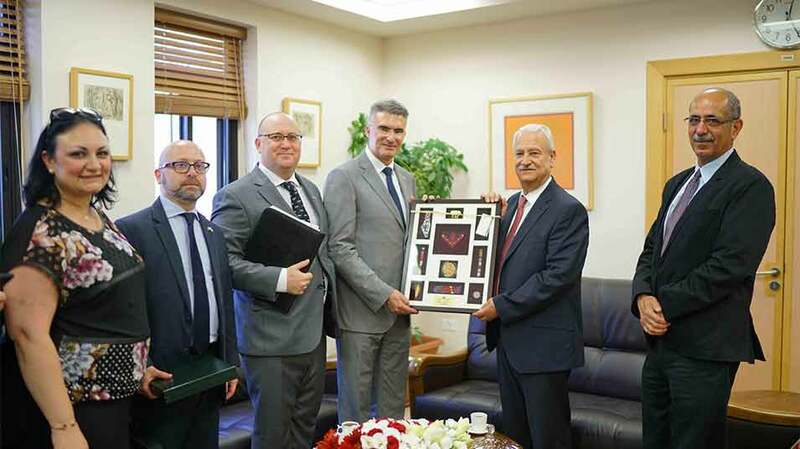 Abela, prior to his lecture, met with Birzeit University President Abdullatif Abuhijleh, Vice President for Academic Affairs Faisal Awadallah, and Vice President for Community Affairs Asem Khalil, External Academic Relations Officer Amir Khalil, and the Director of Ibrahim Abu Lughod Institute of International Studies Lord Habash.